"Ladies and gentlemen, boys and girls, children of all ages. What you are about to see will amaze and frighten you!" You better work on your projecting because it's going to be your job to direct the circus (or party) tonight. And how lucky for you. You have always longed to feel the power that would come with standing in the middle of a huge tent, thousands of eyes locked on you in rapt attention. You’ve been emceeing your weekly karaoke for years, after all, so you’re pretty sure you’re ready for this next big step. In this most amazing and spectacular Mens Elite Ringmaster Costume, you’ll have the crowd eating peanuts out of the palm of your hand as you introduce acts and help clown around. That’s because this classed-up costume is so darn authentic. 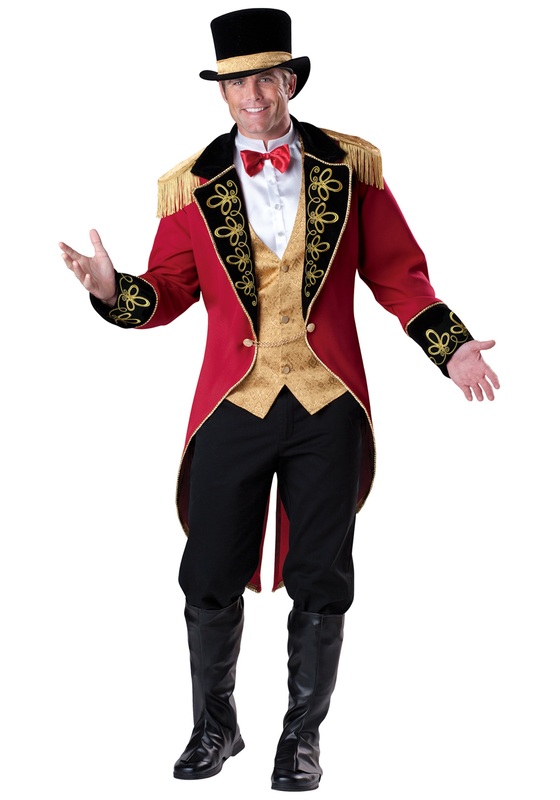 The red tailcoat boasts bold, gold epaulets and scroll work. The faux leather boot covers mean you can pair this party look with any black pants you own and still look 100% in character. And the top hat...come on. Can you even BE a ringmaster without a fabulous hat? We aren’t sure. But we hear if you try it, you may get fed to the lions. So, keep your cap on and step right up, to the greatest, the best, the most sensational costume in town!